Healthcare in the U.S. is expensive — we all know that. We put a high premium on the time, effort, and skill of doctors, nurses, and administrators, and time spent in the hospital can quickly lead to a big bill. As a healthcare provider, you have dedicated your career to helping your patients, and with the right programs and partnerships, you can now extend the “do no harm” principle to your patients’ finances as well as their physical health. The Epic River Patient Lending program is made to benefit providers and patients alike with easy, low-interest loans and user-friendly software. For some smaller practices, it may seem unnecessary to offer medical loans, but it’s an important consideration for larger healthcare centers and hospitals. In today’s blog, we’ll be discussing four of the most expensive medical procedures patients may face. If you offer any of these procedures, you should seriously consider how you are helping your patients face the extensive bill that comes with them. Healthcare costs can be hard to handle even for those patients who have health insurance, and many people will avoid care in order to avoid medical debt. As we will discuss, these expensive procedures are often important life-saving measures. The right medical loan program can make these procedures more affordable and accessible for everyone. Read on to learn more about the surgeries that come with the highest price tag, and contact Epic River today to learn more about our simple Patient Lending solution. An intestine transplant costs about 1.2 million dollars. 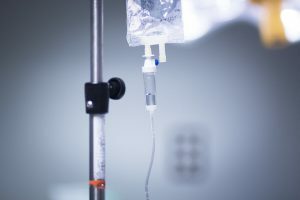 As it can correct a patient’s inability to digest food and absorb fluids when other treatments have failed, many recipients don’t have a choice but to accept the bill. Along with the cost of acquiring healthy tissue for transplant, a lot of hospital administration and admission fees are wrapped up into the cost, and in many cases, this procedure is combined with a liver transplant for an even higher bill. Heart disease is consistently cited as the leading cause of death in the U.S., and when all other methods have failed, a heart transplant is often a patient’s final recourse. It costs just under 1 million dollars, not only because it is a complicated, high-risk surgery but also because it requires a lot of preparation and a long recovery period. The cost of a bone marrow transplant can vary depending on the type of transplant required, but it adds up to hundreds of thousands of dollars regardless. Fees for donor research, testing, and harvesting bone marrow rack up, and complications are common. Using the patient’s own bone marrow instead of a donor’s lowers the cost, but the bill will still be for more than a quarter of a million dollars. A lung transplant is frequently a last resort for patients with lung disease like cystic fibrosis. The time period waiting for a suitable donor can be long, and patients may be confined to the hospital during that time, which is a surefire way to accrue untenable costs. It is also a complex surgery that can require even more time in the hospital for postoperative care. Unfortunately, the most expensive medical procedures frequently overlap with the most necessary procedures. These operations are often a patient’s last hope, and those with chronic diseases or severe trauma may need more than one of the procedures on this list. 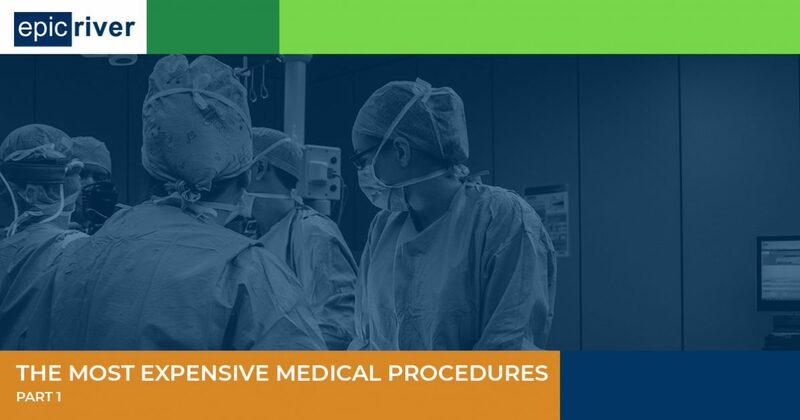 We have listed four more life-saving but expensive operations in part two of this series, and we hope that you review them all for a better understanding of which patients most need health credit services. Many health insurance plans have an out-of-pocket maximum to prevent patients from bearing the full brunt of these bills, but that still leaves individuals on the hook for thousands of dollars they may not be able to pay upfront. By the last estimate made in 2016, more than 20 million Americans are without health insurance, and those individuals would have to find a way to pay for the entire cost of the procedure. As a healthcare provider, there is something you can do to make healthcare costs less prohibitive: choose the Epic River Patient Lending system. We foster partnerships between hospitals and local banks so you can offer your patients simple, low-interest medical loans. The patient works with the bank to create a payment plan, and the bank covers the patient’s entire bill up front, so your business is paid immediately and in full. The patient can then concentrate on healing rather than a big bill they don’t know how to pay, and your hospital staff doesn’t have to spend valuable time and resources trying to elicit payment in the future. Choose a solution that helps you and your patients — contact Epic River today to get started!